Beginning of the year is always a good time to adopt good practices. While I don’t really make New Year resolutions, I do like to set goals for myself each year, and at the end of the year check on how I’ve fared. Over the years I have learnt the art of setting goals that cover my personal, professional and spiritual growth. Because I have consistently improved in all these areas I am also motivated to try my best to achieve my goals each year. This year I plan to share my experiences and insights more regularly on this blog, not only to inspire my readers to live their highest lives, but also as a consistent reminder to myself of staying in tune with my higher purpose. A few days ago I succumbed to the incessant chatter in my mind, and got swept with all sorts of stressful thoughts pertaining to all sorts of things. It was rather overwhelming, because my regular practice of chanting the Hanuman Chalisa that usually calms me failed to have its effect on that particular day. 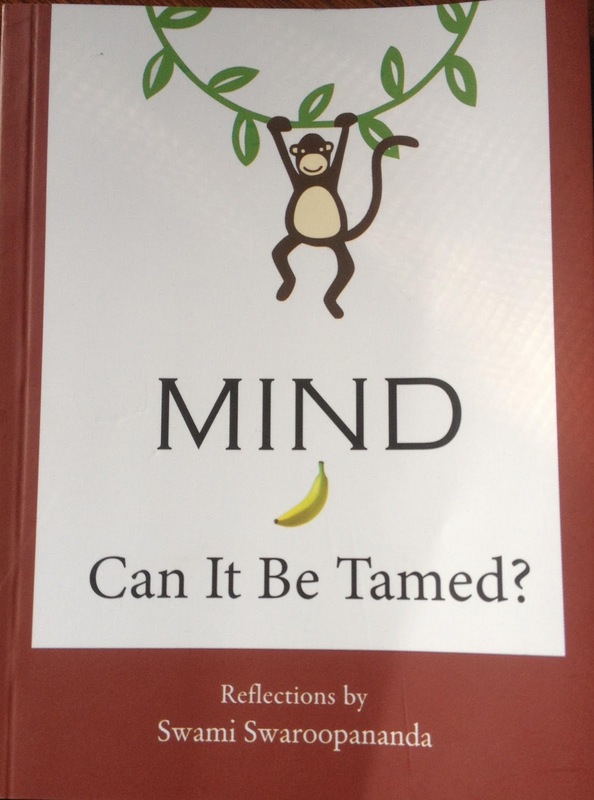 But it did leave me with a reminder to read a book that was recently gifted to me by my mother in law: Mind Can It Be Tamed?, by Swami Swaroopanand, published by Chinmaya Prakashan. In this small 44-page booklet Swamiji explains the nature of the mind and through various examples, analogies and anecdotes, he gives very easy and applicable techniques on how to make our mind our best friend and most efficient tool to live our highest life. The freedom from one’s mind starts when we can simply step off our train of thoughts, viewing them like an observer. Anything that pulls your attention to the past or the future is sheer imagination. With this knowledge it is possible to center your mind into the present moment, and realizing that all the “stressful thoughts” are just that – “thoughts”. To really gain from this book I would encourage you to read it yourself. I love the simplicity with which it is written, yet when practiced regularly these techniques yield the most profound (and almost immediate) effect on the state of one’s mind. Do drop me a line if you read this book and share what you felt. Also, if you'd like to share your experience with taming the mind I'd love to hear about it.